The final years of college can be a difficult time for students committed to a life of Christian discipleship. How does a student begin to prepare for the "real world," so that it will not end in a collapse of faith or a slow series of compromises? Noted youth leader Bruce Main suggests that students should imagine how Jesus might have lived his final years of college. 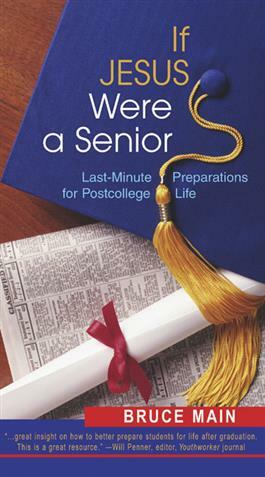 This, he argues, will assist readers in making the necessary preparations for postcollege life. This book is ideal for individual or group study.